Source of article The Sound Jury Library. I am a fan of the television show, The Profit . It’s entertaining and a wonderful resource for small businesses. 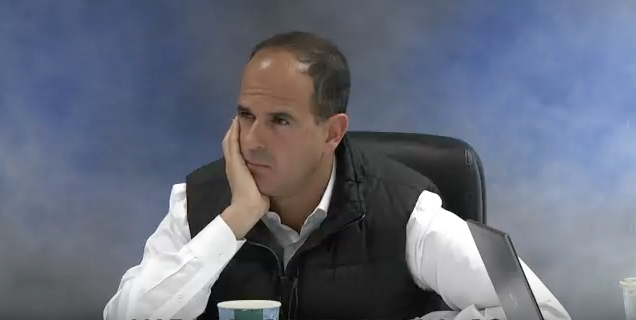 Naturally, I was curious when I stumbled across deposition video of the show host, Marcus Lemonis, on YouTube. For background, this deposition appears to be related to a case in which a woman alleges that Lemonis and company conspired to unfairly push her out of participating in and sponsoring an equestrian competition in Florida. Lemonis presents as a likable, caring, and extremely intelligent communicator on his television show. Consequently, my initial assumption was that his deposition performance would be outstanding. After all, he is a television star who is used to communicating effectively in the spotlight. However, I was wrong. Instead, Lemonis projected as an arrogant and, at times, condescending man, annoyed that he even had to be there. While no one likes the deposition process, this kind of presentation can be devastating in case with these kinds of claims. In cases like this, a lot of jurors use an eyeball test to judge what happened. In other words, they listen to and watch the witness and see if he seems like the kind of guy who would engage in the alleged conduct. An arrogant and dismissive attitude by the witness makes it easy for jurors to conclude that he is exactly the type of person who would do so. While one might argue that this is only a deposition performance and not actual trial testimony, if I was working with the other side, I would look for any opportunity to get some of this video in front of the jury. Such opportunities exist. For example, if he is the corporate rep or a named party, the other side may be able to play video clips from the deposition as early as opening statement, thereby framing Lemonis’s character for the jury before he even gets to take the stand and clean this up. Let’s look at some of the specific problems with Lemonis’s performance and how this could affect the way the jury views him down the road. I’ll focus on a few that are easy fixes. I have inserted time-coded links to his deposition, so you can watch examples of each of the moments that I am discussing. 1. Clothing choices. For starters, let’s talk about Lemonis’s clothing choice for his deposition. Lemonis is the chairman and CEO of Camping World and he should dress to his position. A suit and tie may not have been necessary, but he should have at least worn a sport coat like he often does on his show. Instead, he wore a down vest in his deposition, which makes it look like he’s heading out for vacation as soon as the deposition is over. In short, his choice of clothing was too casual for this deposition and suggests that he is taking this whole thing casually (e.g., not seriously) and does not care for the “rules” and etiquette, again reinforcing the plaintiff’s claims in the case. He should have also opted for a glass of water rather than the latte cup (maybe it’s just tea, but the down vest screams latte). At another point in the deposition, he adopts a combative tone as he says he doesn’t remember. There is a simple solution in moments like this. Slow down and wait for the entire question to be asked. Pause for a moment to make it look like you’re trying to remember and be helpful. Finally, qualify it to make it seem like you’re trying. For example, he could have said, “I’m sorry, but this was over a year ago and I just can’t remember because there were so many people that I talked to.” This kind of answer is much friendlier, meaning it maintains a likable image, it presents him as actually trying to remember the information and, assuming he does not, it still does not provide the plaintiff’s attorney with the information he wants. 3. He didn’t help his own attorney. On the same note as #2, Lemonis, at times, started answering questions before the attorney even finished asking them. This is always troubling to see. First, it doesn’t give your own attorney an opportunity to object to the question. Second, it suggests that he is not giving himself a chance to hear the entire question and think about it before answering. This is what often leads to poor, off-topic answers. 4. He chomped on ice. This may seem like a silly criticism, but it’s a distraction and jurors notice these things and read into them. For example, some jurors could view this as some sort of nervous behavior and read more into the answers he is giving when he does this. We used some deposition video where a witness was eating snacks years ago in a mock trial. I remember a few jurors tried to argue his snacking habit was the product of nervousness over certain topics and that it made him look guilty of something. Now, Lemonis would probably say this is absurd, and he would probably be right. But regardless of whether or not it is absurd, jurors sometimes read into these things and reach these conclusions, and they are your most important audience. 5. His arbitrary commentary. There were times when Lemonis added totally arbitrary and unnecessary commentary to his answer, like in this clip. The problem is that some jurors may view this commentary as inappropriate and arrogant, especially when it is commentary about the opposing attorney or his or her questioning style (here’s an extreme example: https://youtu.be/GmeGPudmSjs?t=774). It can create a bad impression and it cues the deposing attorney that he can probably get you to go off script if he wants. 6. He speculated. Speculation is one of the biggest no-no’s in any deposition. If the true answer is “I don’t know,” that is the best answer. However, in this clip, Lemonis speculates about why someone left their job. Speculation only runs the risk of opening a door that your attorneys do not want open. Instead, he should have said that the attorney would have to talk to the person he’s talking about to figure out what he was thinking. 7. He insulted his wife. This was a terrible series of answers and there was no reason to give them. Over the course of several questions, Lemonis insulted his wife by suggesting she is a disaster to work with and then trivialized her involvement in equestrian events, which judging by the fact that she considers herself a competitor, is probably important to her. These kinds of answers portray Lemonis as an arrogant jerk and, even worse, could suggest a demeaning view of women. Some jurors could watch this clip and decide he is an arrogant chauvinist, and they are not going to work to help him out in the deliberation room, regardless of the actual evidence in the case. 8. He had poor posture. Lemonis sat for several periods of times with his head in his hand, leaning a little to the side. This nonverbal presentation can communicate the message that the witness doesn’t care or is bored, which essentially says that he doesn’t take the case seriously. This is a problem because it potentially reinforces the image of an arrogant person who thinks he’s above the rules, all which reinforces the plaintiff’s characterization of Lemonis. Body language matters and jurors read in to it (often incorrectly). It shapes the way the jurors think about the witness and about the case. This post has focused on areas of improvement. However, there are many things that Lemonis did well in his deposition. For the most part, he did an outstanding job of keeping his answers short and simple. He did not offer up a lot of information or get beyond the scope of the question, which is a major pitfall for many witnesses. Most of his errors can be corrected, which highlights the need for and value of using a jury consultant, who can talk about how jurors will perceive certain behaviors and communication traits.